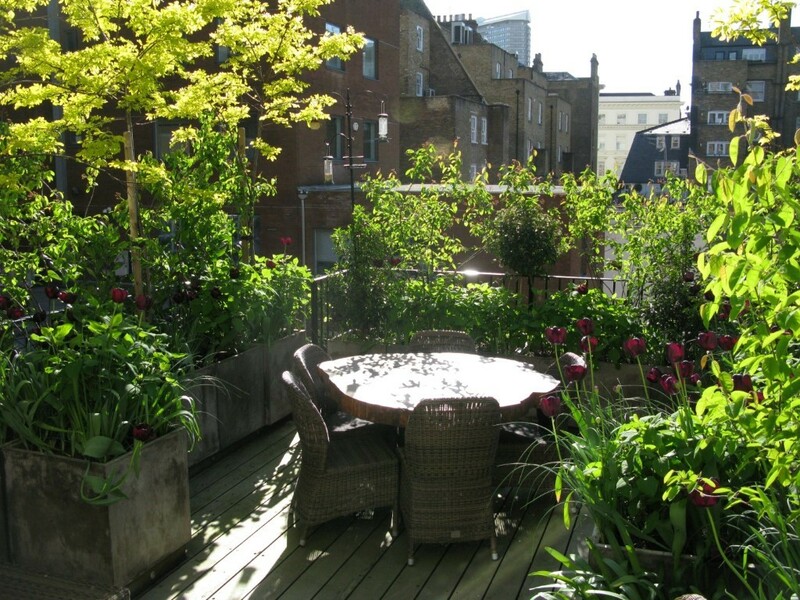 This roof terrace is in the heart of London and is surrounded by overlooking properties. 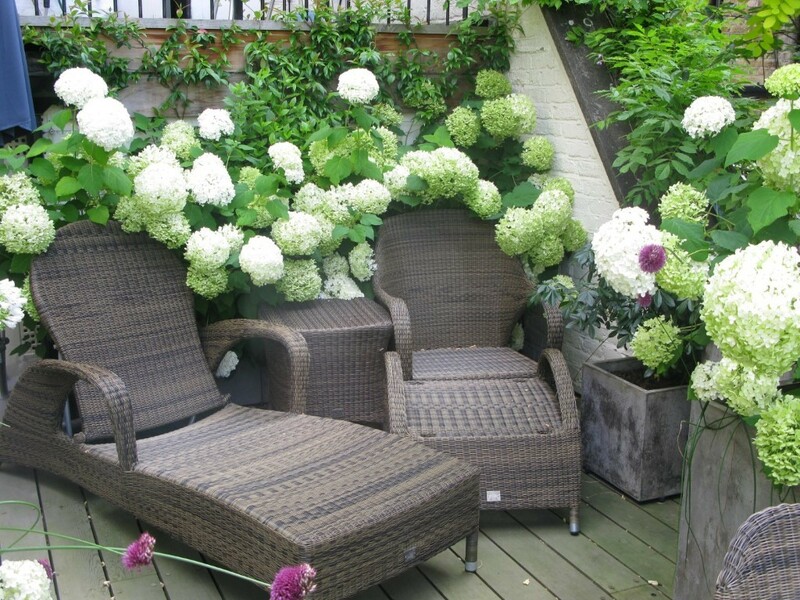 Our client wanted to create a beautiful oasis of plants and flowers that would give privacy, so she could entertain friends or sit out and enjoy the stunning views all around. 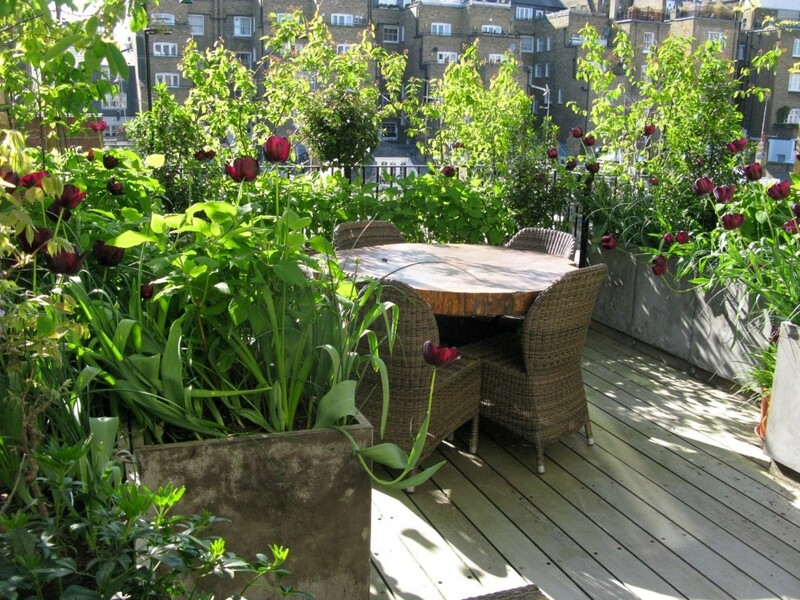 There were planters in situ but the client was unhappy with the existing selection of plants as they provided no screen or dramatic interest. 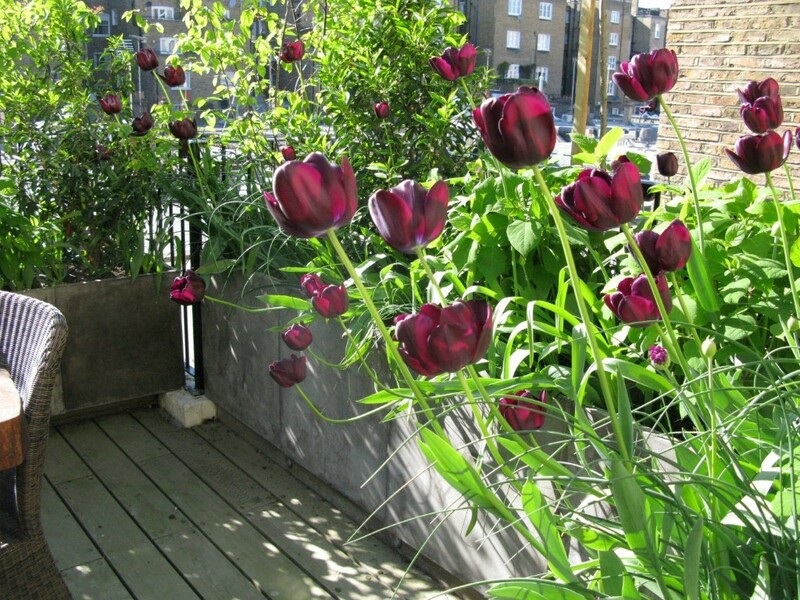 We chose to replace these with a design that included additional trees combined this with a white planting scheme, interspersed with some exciting shots of colour. First we replaced the soil with a soil-based compost and installed an irrigation system to ensure our new plants and shrubs thrived season on season. Once this was done we set about creating the level of privacy the client wanted to achieve with a framework of evergreen shrubs of differing texture and shape. 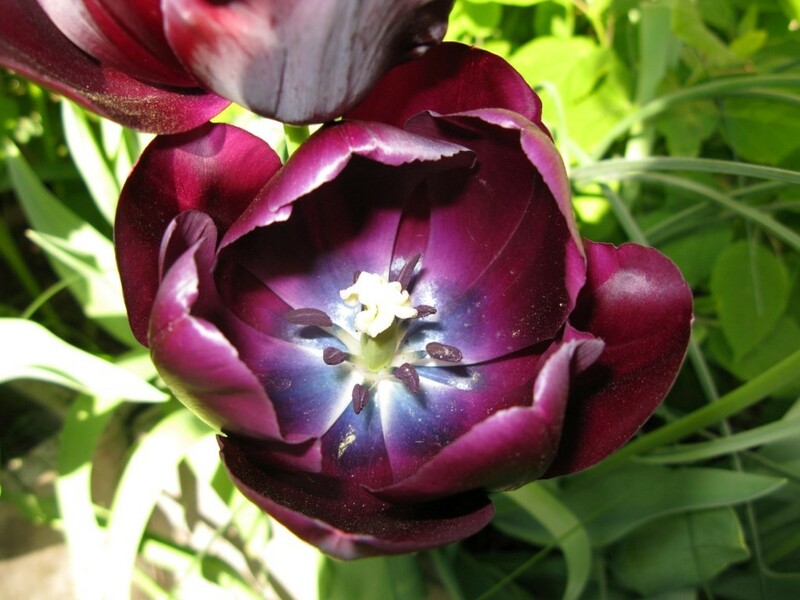 We added pink Peony and aubergine coloured Parrott Tulips and purple Alliums for pops of colour alongside Clematis and scented Trachelospermum. 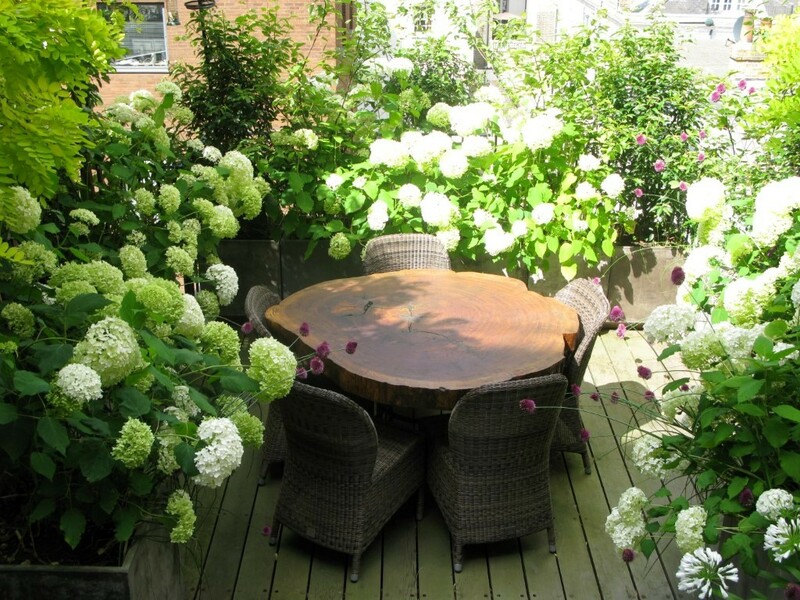 White Hydrangeas provided billowing white flowers with a long season of flower, hardy enough to survive the brisk breezes typical of roof terrace gardens. 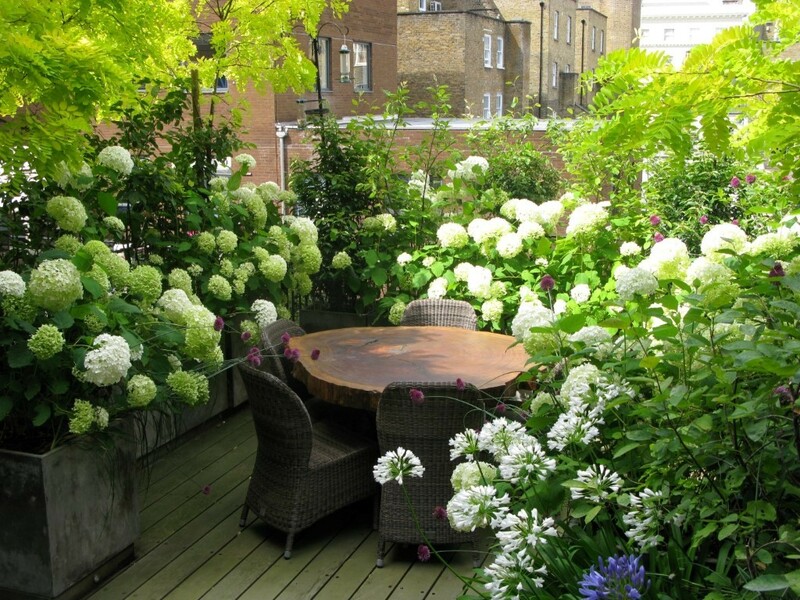 Standard Viburnum Tinus and Agapanthus added more height, drama and colour to the space. “I am pleased as punch with everything. So looking forward to the plants coming into their full glory! Thank you so much. It has been an absolute pleasure and I look forward to seeing you in the spring”.